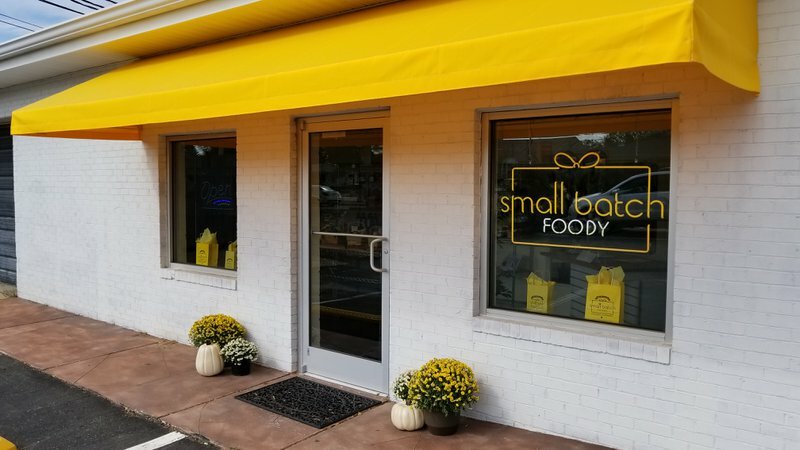 We’re proud to announce that we have just launched Small Batch Foody, a business dedicated to offering the best in locally-sourced specialty food gifts. We set up both a retail store and an e-commerce site specializing in curating quality, handcrafted foods. We’re catering to “foodies,” people with refined and adventuresome tastes. How did we come up with this idea? For one thing, we’ve noticed a number of successes in this category in other regions, so we thought we would give it a try here. After all, North Carolina has the foodiest foody treats of any place I’ve ever been. Plus, we know firsthand how artisans pour their passion into their work. The inspiration for this new business emerged from our family owned bakery, where everything is made from scratch, small batch and local. We figured, if you like cupcakes in a jar, you’re going to love local fudge and a huge variety of other delicacies made right around here. We source local "foody" style gifts made by local vendors. From the store and online sites, we sell and deliver Gift Baskets locally. We also ship customized Gift Boxes nationwide. Our “makers” of these gift items include local US small businesses like Blue Moose Sweet Shoppe, Cloister Honey, Annie’s Ginger Elixir and AR’s Hot Southern Honey. You can select specialty food gifts like Blackberry Patch Apple Butter Syrup, Bjorn Qorn, Blank Slate Birds Eye Chili Rich Simple Syrup. Now come on, I dare anyone not to be at least curious about what that last one tastes like.